I got my tracking number! But not from Apple, like Caitlin did this morning. If you are eagerly mashing refresh on your email account and your “my orders” page at the Apple Online Store, I sympathize—I probably refreshed both about a squillion times today. Caitlin Jealousy was at an all-time high. This tweet from Adam Christianson gave me hope, however. 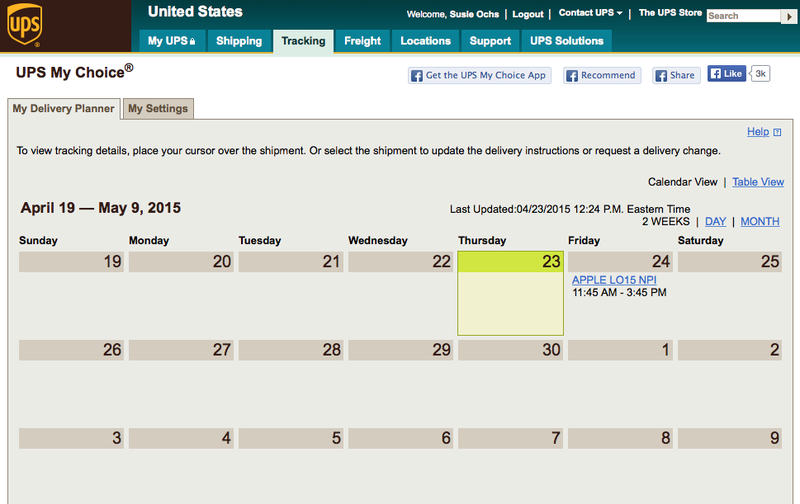 Adam hadn’t gotten his shipping notification and tracking number from Apple yet, either. But thanks to UPS’s My Choice service, he was able to see that a shipment was headed for his address, and get the tracking number that way. UPS My Choice: You chose...wisely. First, go to UPS.com. In the teal navigation bar along the top, hover over Tracking and select Access UPS My Choice. 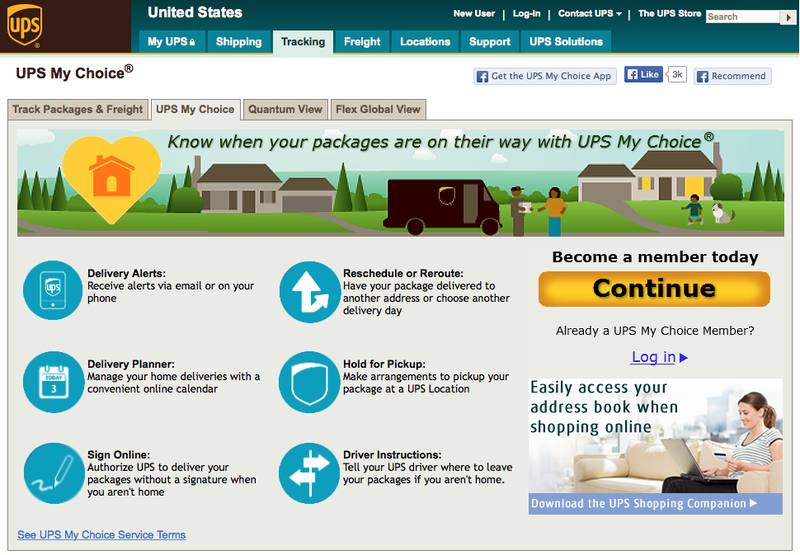 Then look for the big yellow Continue button under the call to “Become a member today.” I didn’t even have a UPS account, but signing up for one only took a minute, even though every minute feels like forever when you're waiting to find out what is up with your Apple Watch, seriously. (Yeah, I’m impatient too.) 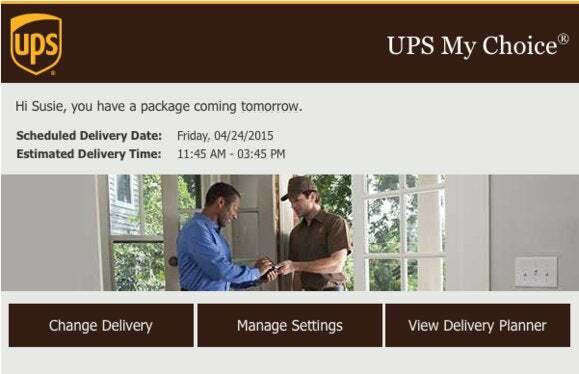 UPS will send a verification to your phone that you have to type into your browser to complete the signup process. But then as I kept refreshing my Gmail account over and over (and over!) 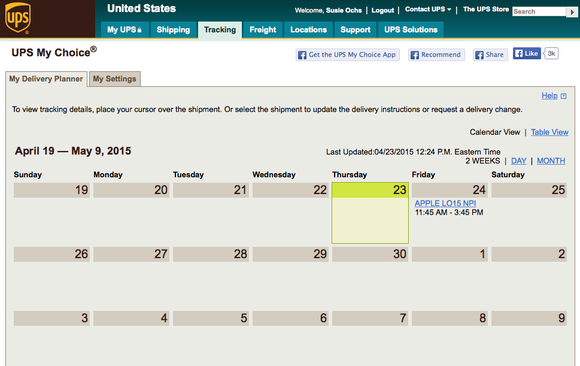 hoping to see a shipment notification from Apple—or anybody—lo and behold, there it was: an email from UPS notifying me of a package arriving tomorrow. From Apple. 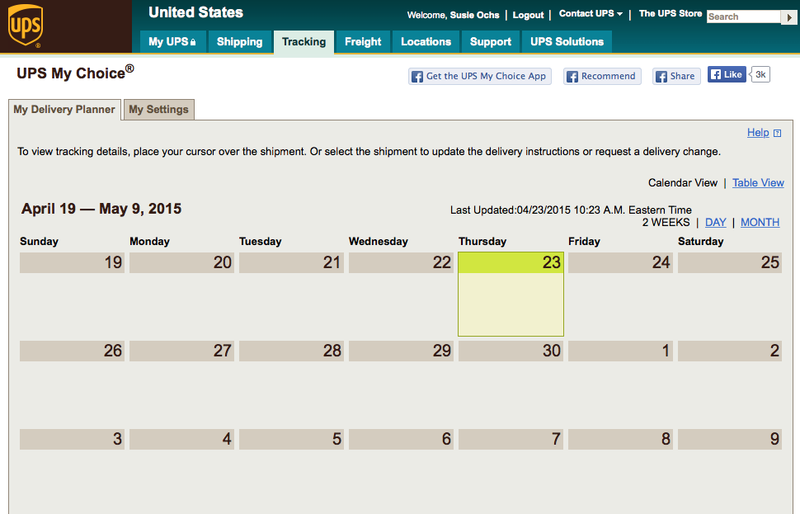 The email had a real tracking number, and even a estimated arrival window: Between 11:45 a.m. and 3:45 p.m., in my case. Yes. Tomorrow. Thank heaven. It’s going to be a nerdy weekend at ol’ Susie’s house, I’m telling you. Anyway, that’s it. Go forth and find your tracking numbers. Who’s getting an Apple Watch tomorrow? Doesn’t it kind of feel like Christmas Eve?